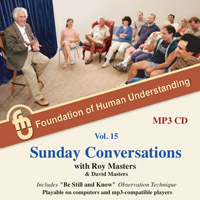 30 Hours Of Audio On One CD! with over 30 hours of audio. 7919 The 3 Hardest Words to Say & Mean "I am Wrong"
7934 Facing Life: Intellectually or Intuitively? 7949 Marriage: Ego Warfare or Magical Journey?